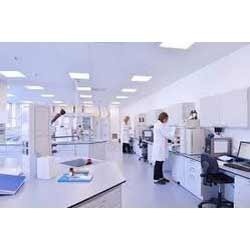 With our expertise in designing and integrating automation and test equipment, we are capable of providing maintenance solutions for research and industrial laboratories complying to ISO 17025 which includes but not limited to. 1. Preventive and corrective maintenance of Electro-mechanical equipment. Optimize the productivity of your Lab and give the boost in the quality. Our sate of the art REGIONAL REPAIR AND CALIBRATION Centre is under 50:50 joint investment between Siemens AG & Adage India . This is located within our factory in Navi Mumbai and is equipped with most sophiticated Calibration, Testing, Repair equippments not available with anyone in India . E_LAB : Medical Lab Management, Billing & Report Generation Software. Medical LAB management and reports generation with integrated Accounting. Lab Test creation / modifications, Test Groups, Doctors & Hospitals List, Lab report generation & Billing. All required reports. Income & expense entry. Daybook, cashbook, bankbook, Ledger wise Trial Balance. Prescription Pad is medical software for writing, maintaining and accessing prescriptions. This is India’s most trusted and fool proof prescription writing medical software which has also been trusted by many western countries. Date of discharge, diseases, procedure, advice on discharge, and attachement of all reports. - Fully integrated billing and reporting with multi-user feature. - Require less Staff to cater more patients in same time or even less. - Enhance patient care in a cost-effective manner. - Stop any pilferage chances. - Qualitia's lab management allows for distributed and parallel test executions across heterogeneous environments. - Using Qualitia Execution Agent you can ensure test coverage across various platforms and browsers in the shortest possible time. 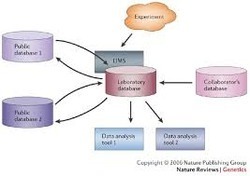 It is a software-based laboratory and information management system that offers a set of key features that support a modern laboratory's operations with data tracking support and workflow.